The word “therapy” often brings to mind a specific scene: the patient on a couch, the therapist on a chair, and a box of tissues on a side table. But a number of unique therapeutic practices replace the traditional counselor’s office with something new — a horse, a chessboard, or even the great outdoors. These seven novel kinds of therapy may seem strange, but they have proven benefits. Could one of them work for you? Find out below. Hypnosis may remind you of the strange stage-magician your college brought for entertainment freshman year. It can’t be real — hypnosis is just a trick, right? But evidence says otherwise. When done properly in a therapeutic session, hypnotherapy can be extremely effective. Sure, that man on stage may have been masquerading — there’s no flapping your arms or feeling imaginary water in proper hypnotherapy, — but a licensed therapist might be able to hypnotize away some of your pain or worries. Dr. Guy Montgomery, a psychologist at Mount Sinai School of Medicine, studied the effects of hypnotherapy on reducing pain and discomfort for breast cancer patients. After hypnosis, patients were less distressed and needed fewer painkillers. Through hypnosis, a therapist puts the patient in a suggestible state, which helps the patient internalize and visualize strategies for change. It’s not “woo-woo” science — it actually works. Love horses? This type of therapy may be perfectly suited for you. Equine-assisted psychotherapy uses horses to calm and comfort the patient. For children with autism, this type of therapy can be life-changing. 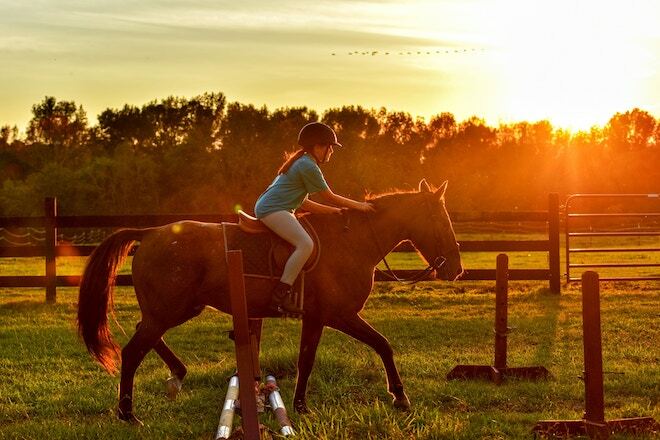 Research shows riding horses helps them improve their social skills and decrease their hyperactivity. Equine-assisted psychotherapy can be helpful for others with mental health challenges, too. Horses can be skittish and require their riders to approach calmly, which increases self-awareness. Working with a horse helps the patient understand their own behavior and reactions, and by seeing how the horse responds, demonstrates how their behavior affects others. Spending time in nature reduces stress and anxiety, so it makes sense that some outdoor-enthusiast therapists bring their patients along, too. While some wilderness therapy programs simply involve a hike and a chat with your counselors, others are intensive mental health boot camps designed to connect patients with the outdoors for weeks or months at a time. These programs can be wildly successful: One research study found that 83 percent of participants maintained positive changes one year after completing the program. But when seeking out a wilderness therapy program — especially if you’re hoping to send your teen into nature — make sure to avoid “scared straight”-style camps. Ensure the staff is clinically trained and compassionate, otherwise the program may do more harm than good. Gathering your thoughts in therapy can feel like a monumental task. One tangent leads to another, and soon your scattered thoughts lead to abstract rants. Have you really solved anything? Or just rambled? Chess therapy helps patients organize their thoughts more clearly, leading to more productive therapy sessions. Of course, this approach won’t work for everyone — people that don’t play chess and have no interest in learning likely won’t find a benefit. But psychologists have found this approach particularly useful for children with attention-deficit disorders. Working out a tough chess puzzle can help with executive function by teaching these children how to focus, strategize solutions, and think ahead. Play therapy may sound silly, at least to an adult. What, you stack blocks and that’s supposed to solve your problems? But if it seems odd, consider it from a child’s perspective. In school and in life, children learn through play. Traditional talk therapy may not benefit a four-year-old struggling with anger issues. But sculpting Play-Doh into figures of their friends and family, and then acting out a vivid memory, comes naturally. Play therapy is always administered by a licensed counselor who innately understands how children demonstrate their fears and worries through play. Together, the counselor can help kids confront anger issues, handle family crises, and learn new behaviors to reduce anxiety. Think of horticulture therapy like play therapy for adults, mixed with a good dose of wilderness therapy. Most people find gardening a soothing activity, and horticulture therapists utilize this calming effect to help patients improve their mental health. The elderly are particularly suited to horticulture therapy: Research indicates therapeutic gardening helps reduce pain and stress, and improve attention. Patients may even need fewer medications and experience fewer falls. Turns out gardening is good for more than decoration or sustenance — it can improve mental health, too. We all might have been confused when Clint Eastwood ranted at an empty chair during the 2012 Republican National Convention, but perhaps he was just practicing Gestalt therapy. In this curious type of therapy, the client sits in front of empty chair and imagines someone sitting in it. That “someone” may be a partner, a parent, or even themself. They play-act both roles in a much-needed dialogue, speaking their mind to the invisible person and then respond as they imagine the person would respond. By performing both roles, the patient receives valuable insight into conflicts, whether interpersonal or internal. Perhaps responding as your long-absent mother helps you sympathize with her perspective, or gives you new tools to handle her anger. While talk or text therapy may be the best choice for most people, not everyone is well-suited to traditional therapeutic practices — especially children and the elderly. If you find yourself eager to try something new, these unique therapies may work well for you.